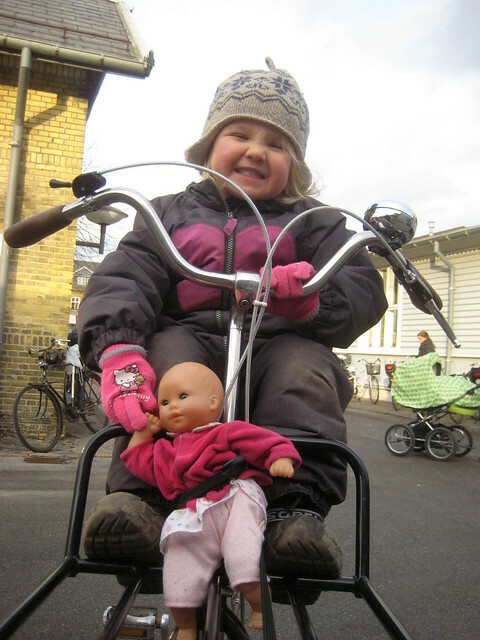 We've written before about how cargo bike culture starts early in Copenhagen. Here are a couple more examples from last week. 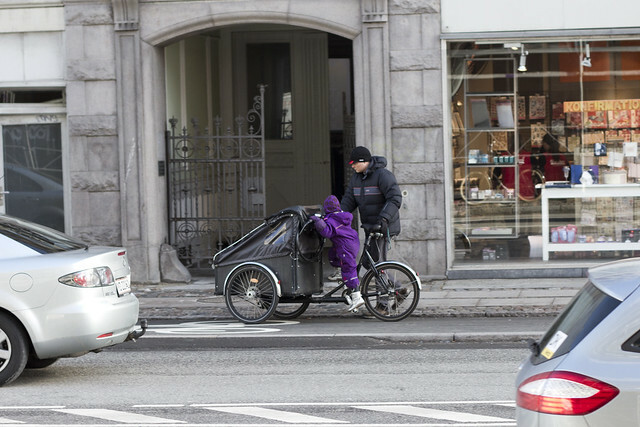 Above, heading home from kindergarten, a Copenhagen kid gets to try and ride the family's Christiania bike along the cycle tracks. And this was spotted on my way home from picking up Lulu-Sophia from kindergarten. 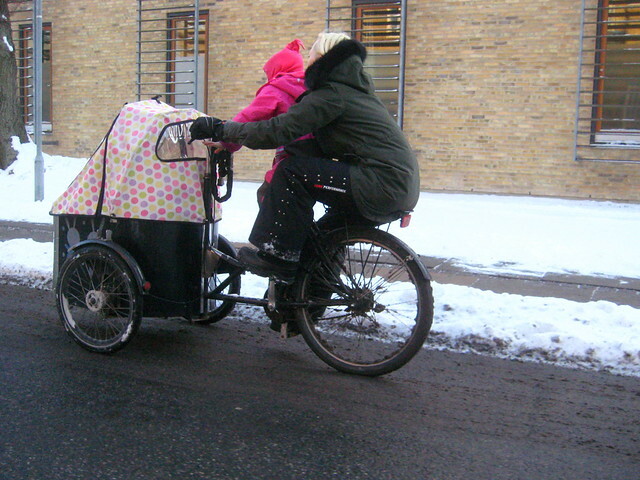 A mum sitting on the back rack and letting her kid get the feeling of the ride from the saddle of this Nihola. 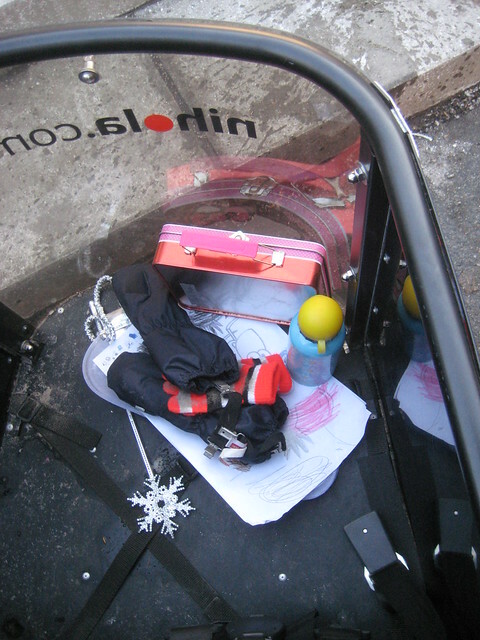 Here's a glimpse into the secret life of cargo bike compartments. This one - one of many - was parked outside the kindergarten. All the essentials for a kid's life. Including a magic wand. I use the Velorbis to pick up Lulu-Sophia at the moment. Well, Lulu and friends, of course. 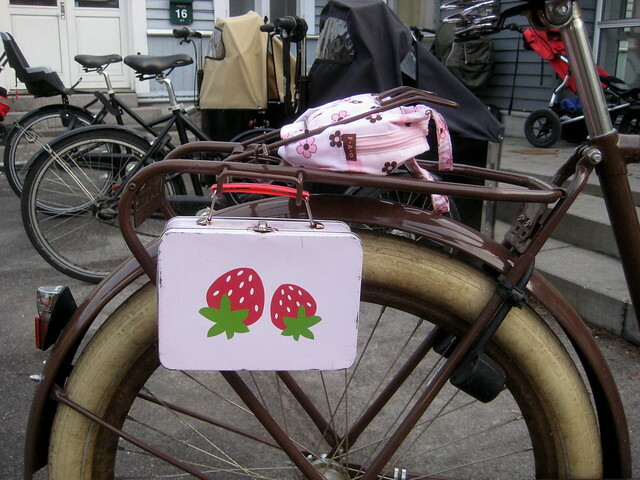 The classic hook on the back racks of Danish bikes comes in handy when transporting a lunchbox. Although apples are doable as well - among many other things. Here's more on these hooks on our bikes.